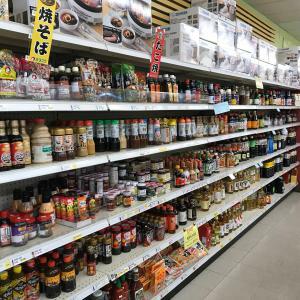 Thankfully Columbus, owing to its diverse population, has a ton of international grocery stores, including terrific Japanese, Indian, Middle Eastern, and Eastern European Markets. 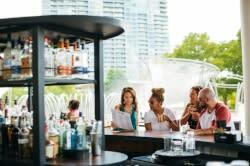 These markets below will have you covered for most of your needs, including togarashi. Pan-Asian Markets: Cam International Market is a great place to start for ice cream flavors, sake, and teas from Asia. They are moving to a new, larger location and more info about their temporary location, and their hours, can be found here. 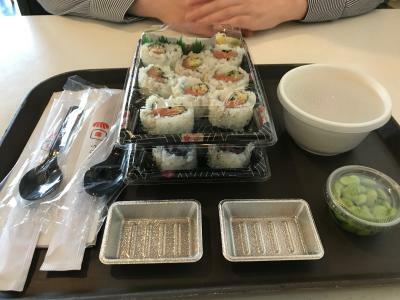 Two other great options are Sunrise Asian Market and Lotte Oriental Food and Gifts, the latter of which also serves delicious Korean food. Luc’s Asian Market sells groceries and serves food (try their pad thai, I am told). 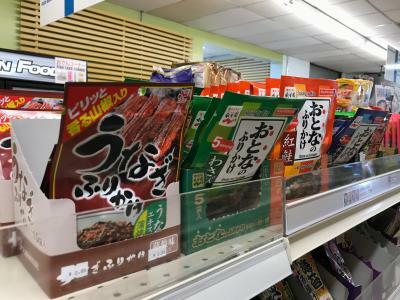 Japanese Markets: Tensuke Market, a family owned Japanese store that opened in 1990, is by far the best place to buy Japanese sake, spices, and snacks. They also have a butcher, sell produce, and offer the latest cookery from Japan. Middle Eastern Markets: If you are driving fast on High Street near OSU, you might miss Mediterranean Foods Imports, a market that has a wide range of Middle Eastern, East African, and South Asian grocery items. They also sell halal meat (i.e. Islamically slaughtered meat), as well as locally made baklava, which I tried and loved. Other great options in Columbus for Middle Eastern markets include: Jaffa Supermarket, and Salam Market and Bakery, which sells some of the city’s best halal meat pies. European Markets: Columbus is spoiled for options in this category so my apologies if I leave any out. Here are some highlights: Russia Club, The Market Italian Village, Carfagna’s (Italian), and Istanbul Supermarket (for Turkish groceries). Mexican Markets: Michoacana Mexican Market is a great one stop option for both Mexican groceries and some of the city’s best chilaqulles. South Asian Markets: Patel Brothers is a national chain of Indian grocery stores for a reason—they have the best selection by far. Another great option is Bombay Bazaar. And if you can’t decide which of the above places you want to visit first, check out Saraga International Grocery. They have everything you can possibly need, from Middle Eastern to Mexican.